If you want to get a blazer for spring days, but don’t want to look too classic and official, you can pay an attention to printed blazers. 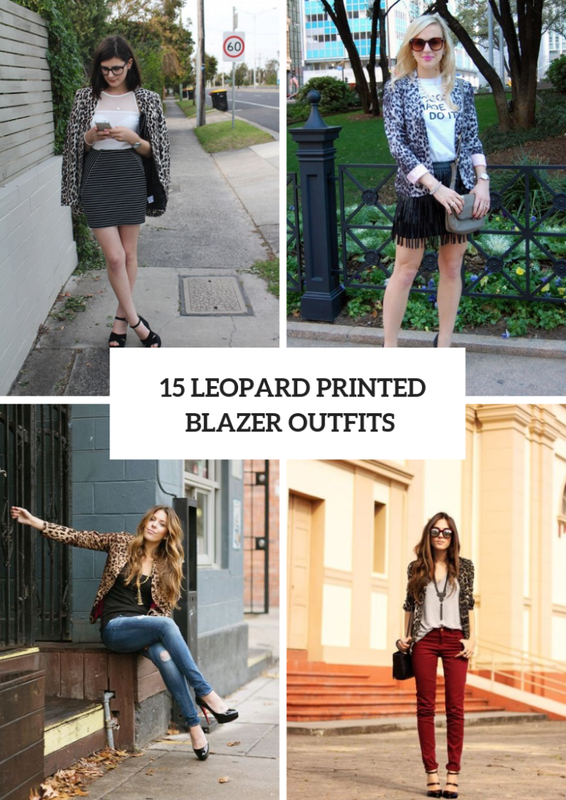 And today I’m ready to share with you cool and gorgeous leopard printed blazer ideas. Below you can find some examples how you can mix them with casual jeans, elegant trousers, flirty skirts and feminine dresses and create eye-catching and comfy outfits for an everyday life. You have a really big choice, so you can choose crop or long, collarless or double-breasted, classic or bright colored blazers. Scroll down and get inspired! 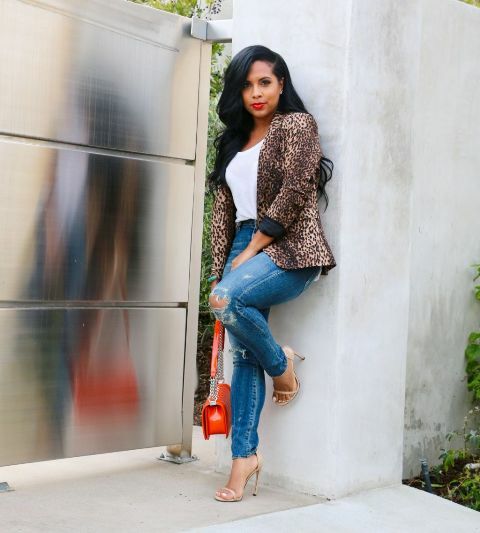 If you want to make a look for every day, then you need to combine a white, gray and black leopard printed blazer with a black turtleneck, sunglasses, distressed skinny jeans, black leather pumps and a black leather tote bag. Or you can choose an animal printed t-shirt and mix it with a leopard printed blazer with a black collar, black flare trousers and metallic pumps. If you are ready for bold clothes combinations, then you can try to add red and green plaid skinny pants or marsala trousers to a printed blazer. Want to create an elegant look? Then you should pair a white top or blouse with a leopard printed blazer, a black high-waisted pencil midi skirt, a black leather tote bag and black high heels. For those who wanna make a flirty outfit I offer to combine a black or navy blue lace mini skirt with a white button down shirt, a loose blazer, embellished cutout ankle boots and a black and gray tote bag. 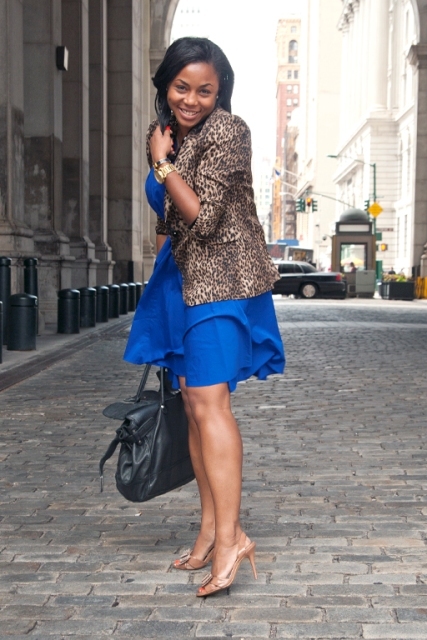 Or you can choose a cobalt blue mini dress and mix it with a leopard blazer, a black leather tote and beige shoes.